I love the Olympics and I am so excited to cheer on my country . 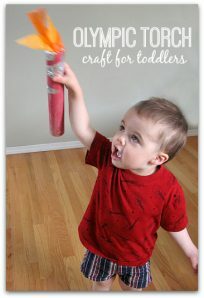 This craft is easy to make and can be made by one child or as a group. 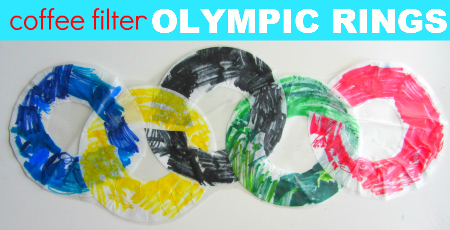 My kids and I all pitched in for a team effort which is rather appropriate for an Olympic craft don’t you think? 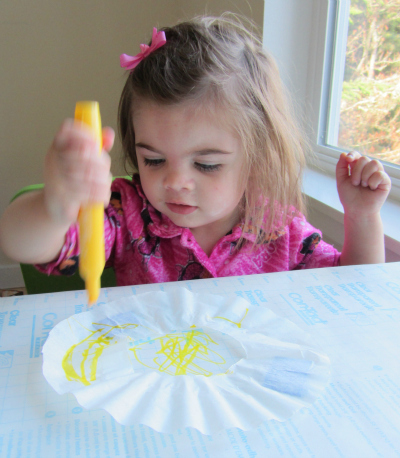 You don’t have to use the contact paper but the craft will last much longer if you do! Gather your materials. 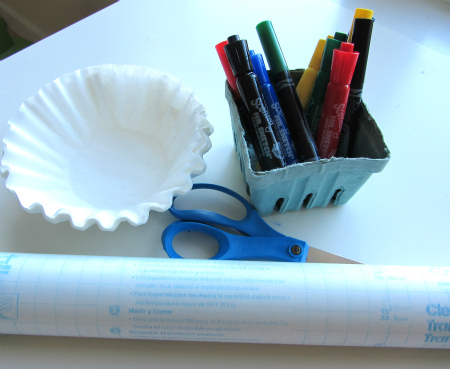 You will need 5 coffee filters, scissors, markers, and contact paper. 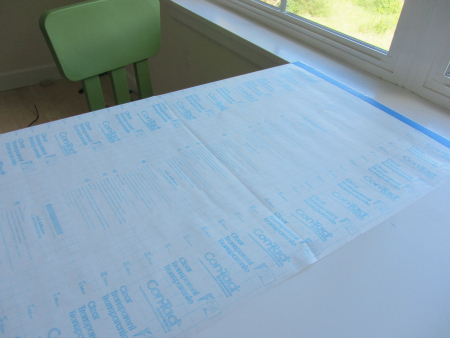 Start by covering your table with something to protect it. I used contact paper ( with the back still on) because I will sandwich the rings in it later to protect it. Since you throw the backing away I figured I’d use it first as a drop cloth. 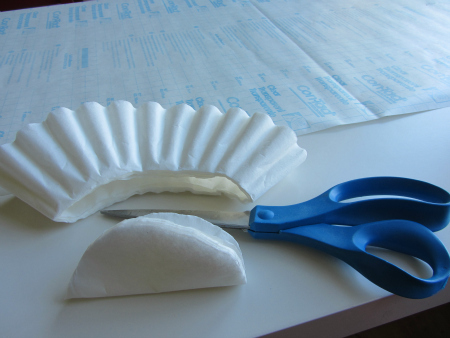 Next cut the middle out of the coffee filters. Color! My daughter was in charge of the yellow. 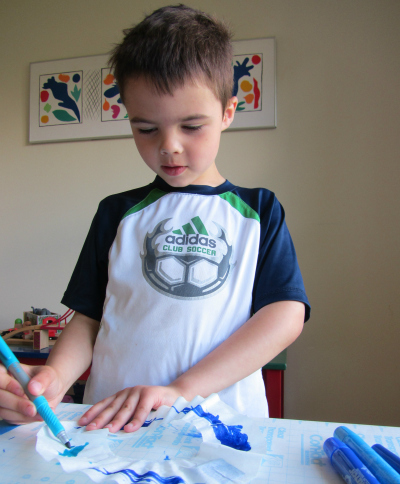 My son started with the blue. 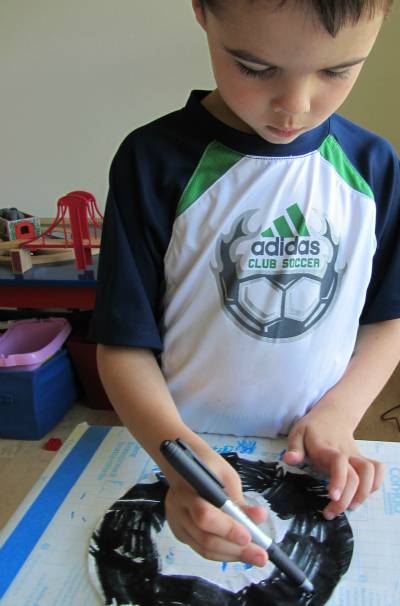 He soon asked if he could use the permanent markers and I grabbed them for him. 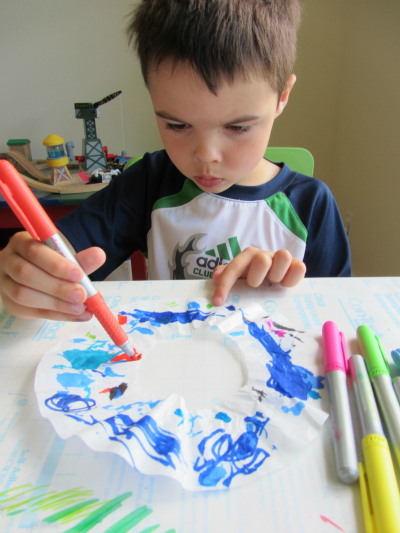 He was fascinated by how the colors spread on the coffee filter. 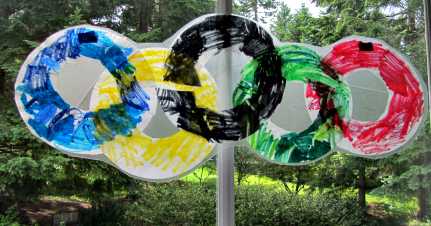 After we did all the Olympic rings they both did a multicolored one too! 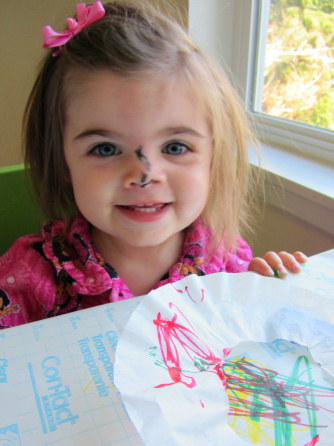 This is what you can expect when you let a toddler use smelly markers. Have baby wipes on hand , they are not washable! When all the filters were done I peeled the backing off the contact paper and arranged the rings.I made one cut in each to interlock them. Then pressed a second piece over top.Trimmed and put it up in our window. awesome idea! thanks for sharing – happy 4th! I’ve only had half a cup of coffee so pardon me if I’m missing something. 🙂 How did you get the rings to interlock? Did you cut them? I did and you aren’t missing – I missed writing that. I tell you late night blogging is not working for me ! 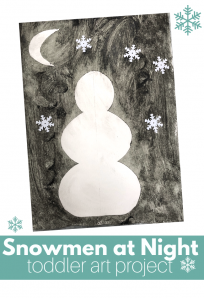 I love them – my favorite preschool project when I was in preschool used them. Been a fan ever since. I like the way they smell myself 🙂 And for work, I like that they can take a bit more abuse than your average marker. 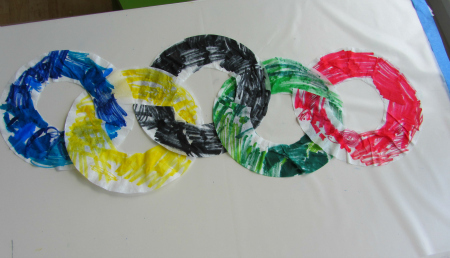 Thanks – we have at least one more Olympic themed post planned !